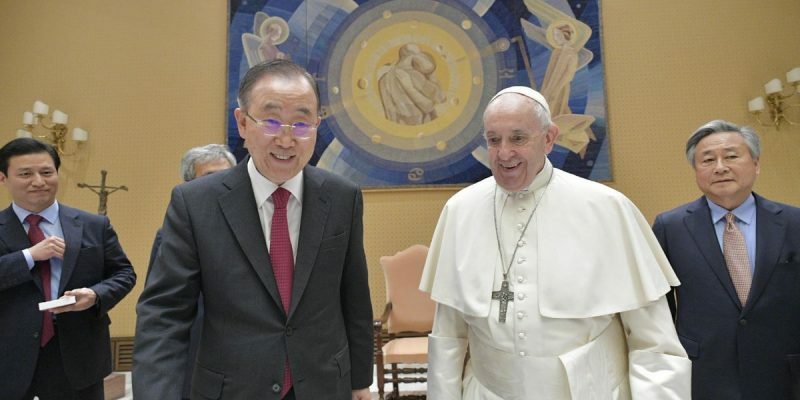 On April 11th, 2019, BKMC Co-chair Ban Ki-moon visited the Vatican to have a private meeting with His Holiness Pope Francis. The two discussed on the topic of peace in the Korean peninsula and the globe as well as the issues surrounding climate change. 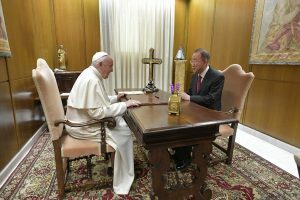 Mentioning his firm advocacy for peace in the Korean peninsula, the Pope stressed the importance of the continuous conversation between two Koreas in settling peace on the peninsula. He also stressed that the environment is the matter directly related to the existence of mankind, and the humankind cannot survive without solving the climate issues. 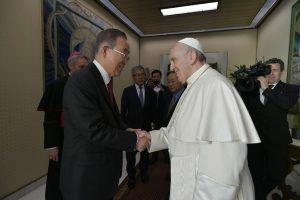 As the Pope delivered a speech at the UN General Assembly in 2015 and supported the UN with adopting the Paris Climate Agreement, Ban expressed his gratitude again for the Pope’s great attention to the global issues. 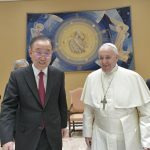 Mentioning his new leadership role as the Head of the National Committee to fight against micro dust issues in Korea, Ban asked for the Pope’s continuous attention to the climate challenge and support for the necessary cooperation within the international community. He pointed out that creating resilient and sustainable cities are they key to our future, and the climate change is the “most pressing threat standing in this path.” He also addressed how the UN’s Sustainable Development Goals can help in charting a thriving blueprint for the future. Ban also spoke at the Climate Change Forum to discuss the impact of climate change on human health. 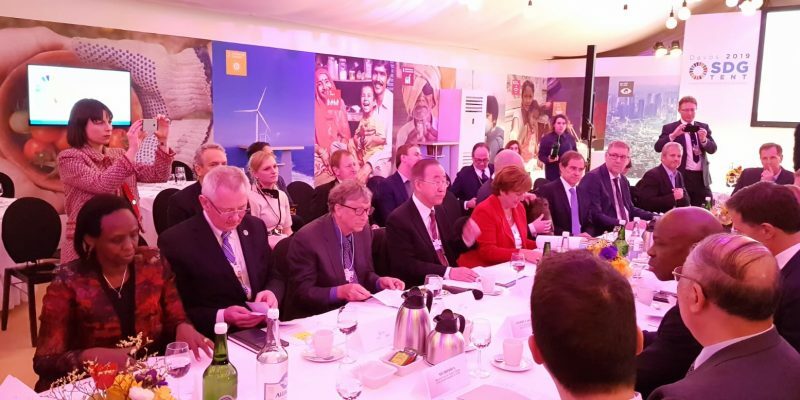 On January 23rd during the World Economic Forum 2019 in Davos, Switzerland, BKMC Co-chair Ban Ki-moon, CEO Kristalina Georgieva of the World Bank, and Co-chair Bill Gates of the Bill & Melinda Gates Foundation, the leaders of the Global Commission on Adaptation (GCA), met with global leaders to discuss global solutions to respond to growing consequences of climate change that needs adaptation. “Adaptation must move into the mainstream of policy-making, business strategies and development planning. Through these efforts, the world can advance dynamic solutions that will reduce risk and bring economic opportunities for more people. We are all in this together. 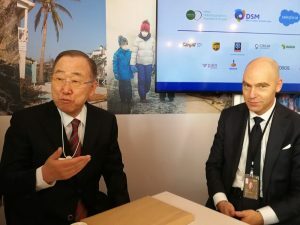 We must mobilize leadership and unlock investments in adaptation that can improve people’s lives today and for generations to come,” Ban emphasized during the meeting. Prior to the meeting, BKMC Co-chair Ban Ki-moon and CEO Monika Froehler also met with CEO Patrick Verkooijen of the Global Center on Adaptation, Emma Howard Boyd, Chair of the Environment Agency and UK Commissioner for GCA, and CEO Peter Damgaard Jensen of Pensionskassernes Administration A/S to discuss the importance of accelerating finance and investment in climate resilience. 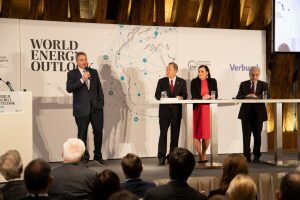 I thank the International Energy Agency and VERBUND for bringing us all together for the launch of the 2018 World Energy Outlook in Vienna. 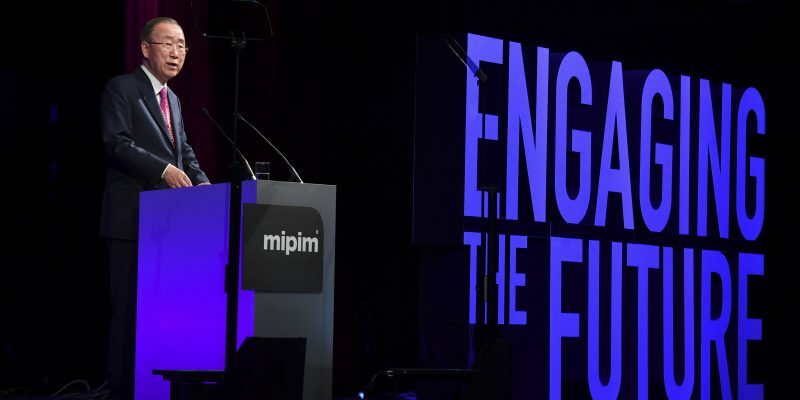 It is a great privilege for me to address such a distinguished group of global leaders and experts across a wide variety of sectors and regions to talk about “Electrification” and “Making it Happen”. As a child growing up during the Korean War, I studied with candlelight. Electric conveniences such as refrigerators and fans were largely unknown. I had to study until I was a freshman at University under candle light. Yet within my lifetime reality changed utterly. Easy access to energy opened abundant new possibilities for my family, my community, my country and so many others around the globe. Energy transforms lives, businesses and economies. And it transforms our planet —our climate, natural resources and ecosystems. Since 2010, less than a decade ago, the average costs of solar power has dropped 73% and the cost of wind energy has dropped 23%, respectively. It may be kind of meaningless for me to point this numbers out in front of many experts like yourselves. The costs of battery storage technologies are forecasted to decline by as much 60% over the next decade. In many scenarios, renewable energy is now more competitive than conventional fossil fuel-based energy. In other words, we have arrived at the tipping point where investing in renewable energy is no longer only the right thing to do to, it is also the sensible thing to do. If we were to push for the new construction of traditional fossil fuel power plants, we would be at risk of being viewed as not only “immoral” but also as “unwise”. Still, real world change is not occurring as rapidly as we want, and current electrification rates are insufficient to achieve Sustainable Development Goal No. 7. Today still nearly one out of every five people lacks access to electricity. More than twice that number — 2.8 billion people – still rely on wood, charcoal, animal and crop waste or other solid fuels to cook their food and heat their homes. For example, Sub-Saharan Africa is far behind the rest of the world in terms of electricity generation capacity, per capita electricity consumption and household access to electricity. If the current trend continues, 674 million people will remain without access, even in 2030. At the same time the global thermostat is rising, threatening development goals and economies small and large. Still we need to make modern energy services available to all, increase efficiency and increase the share of renewable energy in the global energy mix. This is why I launched the Sustainable Energy for All initiative. It has three targets and the headquarters is now here in Vienna. We must do all of that in a sustainable manner. Developing policies and other innovative ways for the private sector and public institutions—especially those that receive R&D funding from their governments—to be more active in transferring technologies to developing countries so they can decrease fossil fuel imports, reduce air pollution and create green jobs. Earlier this year, I was elected as the President of the Assembly and the Chair of the Council of the Global Green Growth Institute (GGGI) located in Seoul, a treaty-based intergovernmental organization, by its Member countries. It supports its Member countries achieve the NDCs (national determined contributions) by delivering climate action services in the areas of mitigation, transparency and finance. GGGI has mobilized 1 billion USD in green investments in developing countries, despite being established only six years ago in 2012. This Institute currently has thirty Member countries, and they are at the heart of this changing global energy landscape—as they seek to design their future energy systems against the background of population growth, rapid urbanization, economic growth and rising income levels—all of which will require governments to meet soaring energy demands. Additionally, as some of you might already know, only a few weeks ago in The Hague, Netherlands, on Oct. 16th, we launched the Global Commission on Adaptation, which I am honored to lead together with Ms. Kristalina Georgieva, CEO of World Bank and Mr. Bill Gates. On the heels of one of the deadliest summers of climate-related weather disasters affecting countries all over the world, the new Global Commission on Adaptation aims to catalyze a global movement to bring scale and speed to climate adaptation solutions. Even if countries meet the Paris Climate Accord goal of keeping the rise in Earth’s temperature below two degrees Celsius by rapidly adapting to new forms of energy, the effects of global warming will continue to manifest and intensify. Millions of lives are being lost. And poor people who did the least to cause the problems are suffering the most. 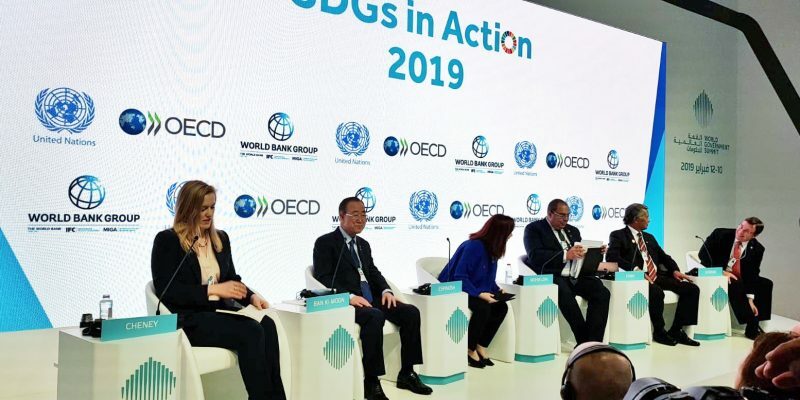 Over the next two years, the Global Commission on Adaptation will make its action oriented “Action Plans” and will submit them to the United Nations Climate Summit meeting to be held in September next year. Based on that report adopted at the General Assembly, we will try to have a summit meeting for action on adaption. We will provide the roadmap for what new actions are needed and what must be done differently to secure our future. The urgency around climate adaptation cannot be underestimated. We are at a point of no return. We can choose a path that can lead us toward a more climate resilient future, or we can continue with the status quo, putting at risk global economic growth and social stability that will undermine food, water, and energy security for decades to come. Preparing for climate risks cannot be done by just one country, or in one sector, or just by governments alone. This is a global challenge requiring global coordination across boundaries. Climate impacts in one country can have effects on the other side of the world. We must learn from one another. Adapting to climate will require a complete transformation of policies, programs, and projects across governments, the private sector, and civil society to ensure the well-being of humanity. I believe that climate adaptation is achievable—at scale and at speed. In fact, the costs of adapting are less than the cost of doing business as usual. And the benefits many times larger. Adaptation is not only the right thing to do, it is the smart thing to do. I would like to emphasize that we have invested for mitigating the climate phenomenon; however, we have not done much to adapt to the situation. That is why we must balance our work between mitigating and adaptation. And in that, of course, I think energy can play a critically import role. Energy is a cross-cutting issue. When we say cross-cutting issue, energy and water as well as others are cross-cutting issues. Without these, you cannot do anything. Starting from goal number one until goal seventeen, most of the goals are directly incorporated with energy. So, without energy, we cannot do anything at this time. I was able to study without energy and I was even drinking water from a stream at that time. But if I drink water from a stream today, I will get sick immediately. We are living in a very dangerous world at this time. Without energy, you cannot do anything. You cannot operate any small community. Therefore, sustainable energy is the most important. There are some initiatives that I have taken – global education, quality education, global heath issues, gender equality, fighting against violence against women, and energy, and water. These are some of the initiatives I have taken in my time. 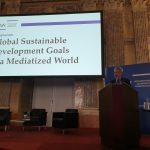 Sustainable energy for All is one initiative which is located in the beautiful city of Vienna led by Rachel Kyte who previously served as the Vice-President of World Bank. She is doing an excellent job. We need to work very hard. The International Energy Agency as well as everyone present here today are playing an important role for the promise of SDG 7. We have the capacity to ensure sustainable futures not only for us, but for succeeding generations to come. Therefore, ladies and gentlemen, use your energy wisely and sustainably. That’s my message to you. And I thank you for all of your leadership. 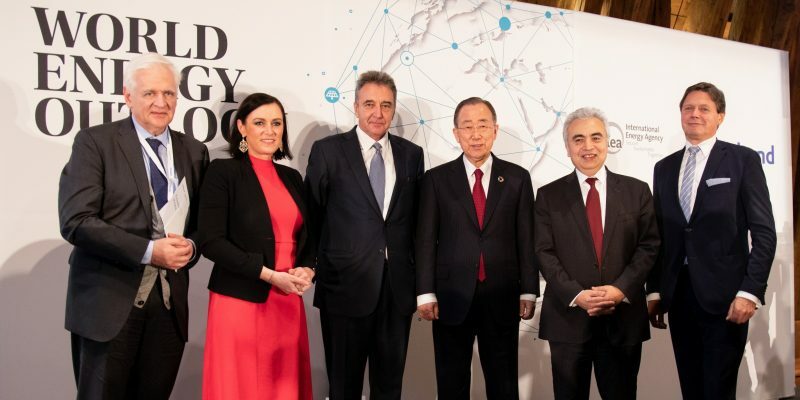 The World Energy Outlook 2018 was launched by Verbund and International Energy Agency (IEA) at the Technical University of Vienna on November 14th. This year’s edition of the WEO found that the world population without electricity access fell below 1 billion for the first time ever in 2017, led by India; but despite recent progress, efforts in sub-Saharan Africa need to redouble to achieve the goal of universal access. 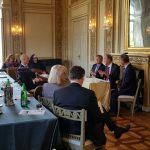 The event on Wednesday drew more than 300 participants, including ambassadors from several countries, as well as former Vice-Chancellor of Austria Mr. Reinhold Mitterlehner and high level representatives from UNIDO and OPEC. 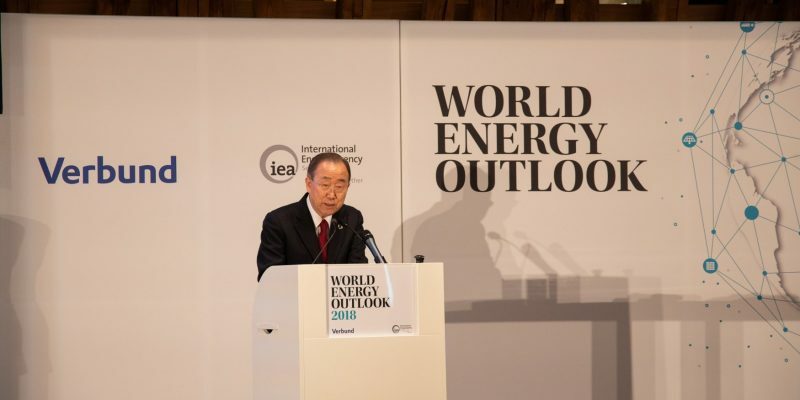 Under Co-chair Ban’s leadership as Secretary General of the United Nations, the UN adopted the 17 Sustainable Development Goal (SDGs) including SDG 7 related specifically to energy in the year 2015. Ban acknowledged the IEA’s role in tracking progress toward SDG 7 and congratulated IEA for the continued efforts in providing analysis and data on the SDG 7 through the World Energy Outlook. Minister Elisabeth Koestinger of the Ministry for Sustainability and Tourism welcomed this year’s World Energy Outlook as a source of information and data for political leaders while Ban spoke of his childhood experiences with access to energy growing up in South Korea, and highlighted the importance of international cooperation to improve energy access while tackling climate change. 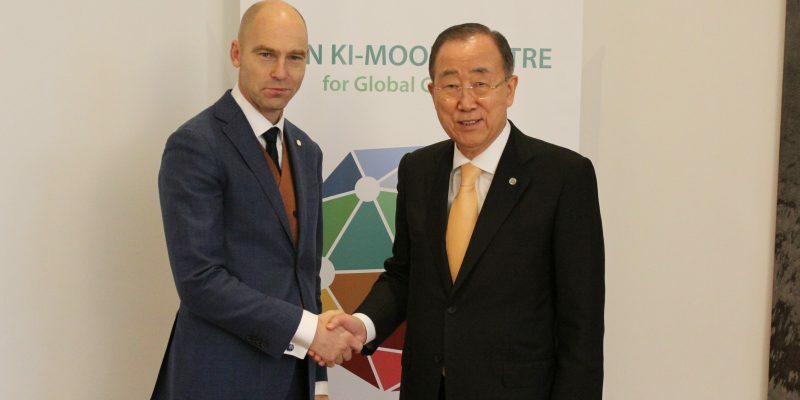 CEO Patrick Verkooijen of Global Center on Adaptation (GCA) visited the Ban Ki-moon Centre for Global Citizens on November 13th to have a bilateral meeting with the Centre’s Co-chair Ban Ki-moon. Co-chair Ban also serves as Chair of the Board with GCA. 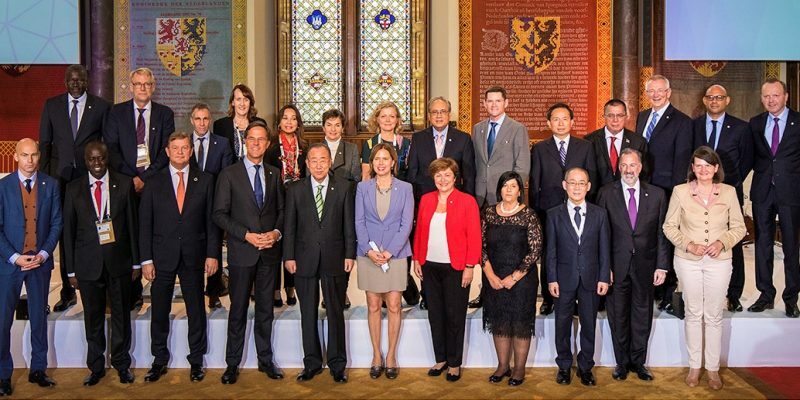 On October 16th, 2018, GCA launched the Global Commission on Adaptation headed by BKMC Co-chair Ban Ki-moon together with Co-chair Bill Gates of the Bill & Melinda Gates Foundation and CEO Kristalina Georgieva of World Bank in The Hague, Netherlands. 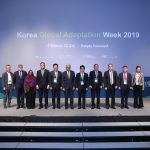 To catalyze a global movement to bring scale and speed to climate adaptation solutions, the Global Commission on Adaptation included 17 convening countries and 28 commissioners that consist of the world leaders, representing all regions of the globe and all sectors of development. Verkooijen and Ban discussed how to better accelerate adaptation action, bring larger support from the international community and promote cooperation among the states and the world leaders as GCA binds the ‘Sustainable Development Goal #13: Climate Action’ whereas all the other 17 SDGs are not legally bound. who is a leader of the Global Commission on Adaption and Chair of the Advisory Board of the Global Center on Adaptation (GCA) at the launch and opening ceremony of the Global Commission on Adaptation in The Hague, the Netherlands on October 16th, 2018. The Global Commission on Adaptation is co-hosted by GCA and World Resources Institute. The Managing Partners coordinate and support the engagement activities of Commissioners, help to deliver research products, and support the overall functioning of the Commission’s work. The Commission is headed by Co-chair Ban Ki-moon, Co-chair Bill Gates of the Bill & Melinda Gates Foundation and CEO Kristalina Georgieva of World Bank, and consists of 17 convening countries and 28 Commissioners, including leaders representing all regions of the globe and all sectors of development and industry. Ban urged leaders of the world to work on making a complete transformation of “policies, programs, and projects across government, the private sector, and civil society” in order to adopt to climate and to ensure the well-being of humanity. The Global Commission on Adaptation will provide a road map for what actions should be taken and how differently we should approach the development of the world. Ban says that the next two years will be critical for humanity and that greater climate resilience is reachable if we work together. On September 10th, 2018, Global Center on Adaptation (GCA) announced the inauguration of the Ban Ki-moon Centre’s Co-chair Ban Ki-moon as Chair of the Global Commission on Adaptation, which will take place in The Hague, the Netherlands on October 16th, 2018. 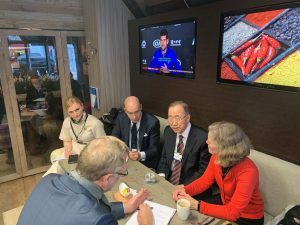 Three global leaders, Ban Ki-moon, Bill Gates, and World Bank CEO Kristalina Georgieva will head the commission which will be co-hosted by the GCA and World Resources Institute. The commission planned to deliver a flagship report at a UN climate summit this month to make the climate change adaptation receive international and political attention it deserves. The commission addresses the need of more necessary funding for the climate adaptation that could help the world keep the pace with reaching global solutions for climate change. In a 2017 report, the Climate Policy Initiative said emissions-reduction activities accounted for an average of 93 percent of climate finance from 2015-2016. Looking only at public sources of funding, adaptation received just 16 percent. CEO Patrick Verkooijen of the GCA said his organization would promote “much bolder, bigger approaches.” He emphasized on the importance of sharing expertise and knowledge in the field and having it implemented in correct methods that can be used in every place throughout the world. He mentioned that new technologies and funding options were also needed to meet challenges at the local level. “That will happen when there is a push to put adaptation on the global agenda equal to other critical issues,” said Verkooijen. The Global Commission on Adaptation, thus, should be able to include the perspectives of marginalized people living in vulnerable regions affected by natural disaster and to address their issues, including but not limited to lack of fund and expertise to the international community. The commission will roughly consist of 20 commissioners, including some world leaders, and 10 convening countries, which will be unveiled on October 16th, 2018. 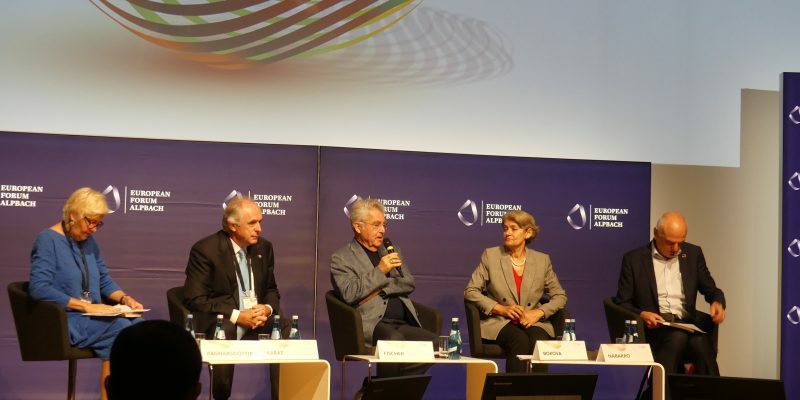 Ban Ki-moon Centre for Global Citizens’ Co-chair Heinz Fischer, who is also Honorary Chair of Alpbach-Laxenburg Group and the Centre’s Board member Irina Bokova, Former Director General of UNESCO featured at a plenary session during the political symposium held at European Forum Alpbach on August 28th, 2018. The session was hosted by Alpbach-Laxenburg Group in cooperation with IIASA and had a panel discussion on “reconciling (bio)diversity protection and effort to mitigate climate change.” On the panel, also featured were David Nabarro, who served as Special Advisor to the United Nations Secretary-General on the 2030 Agenda for Sustainable Development and Climate Change, Patricia Espinosa Cantellano, Executive Secretary of the UN Framework Convention on Climate Change, and Kristin Vala Ragnarsdottir, Professor of Sustainability Science at the University of Iceland.